Hi All! Well, it has been a crazy week! Here in the beautiful Pacific Northwest we had snow days last Friday and then again on Monday. On the Thursday before, we were gently prodded to get out of our rooms by 3:00 so that the building could be locked up and everyone could get home safely. Needless to say, that set me up for a very unorganized week! I'm one of those people that when others look at my work and how I handle my class they think I am a very organized person... but inside my own mind and my own expectations, I'm a royal mess! I need time to plan out and process, so when my schedule is messed with I find myself off kilter. Luckily, this year I have one of those classes that are mostly able to go with the flow. Maybe, to them, I didn't seem as crazy as I felt inside my own head. Luckily, I had some tricks up my sleeve to get me through the week. 1. My biggest concern was my science unit. We are learning about Earth Changes and I needed something to help me teach erosion and weathering. Ta Da... bring on TpT and The Science Penguin! I came across a couple of products at her store that saved my bacon! 2. 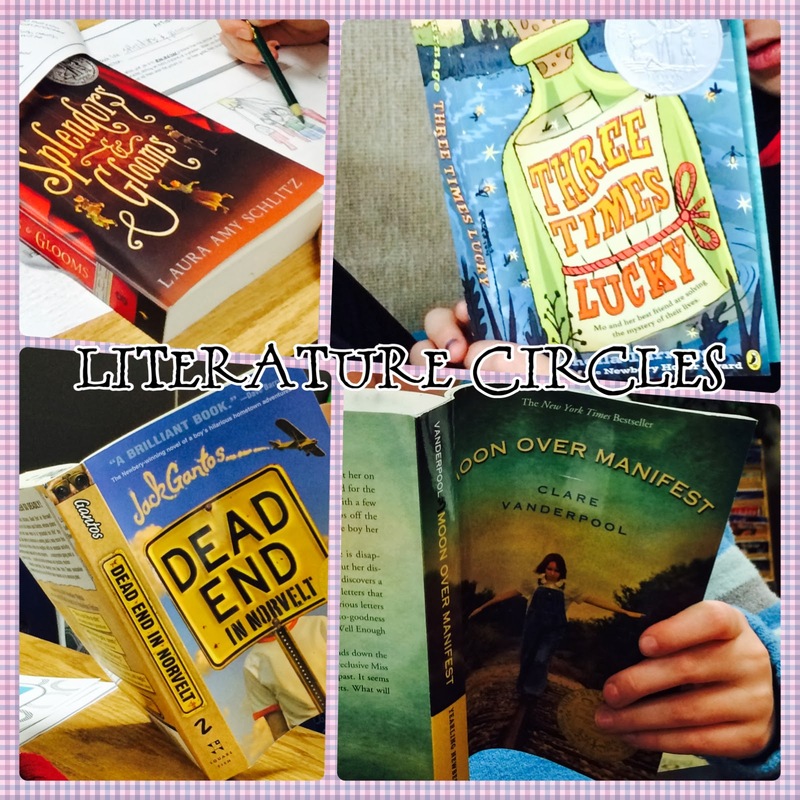 I had just introduced literature circles to my class the week before and the students were excited to crack open the brand new novels we received through generous parent donations on Donorschoose.org. I had to offer support and problem solve with some literature circle groups, but overall, my students have been diligently reading and discussing their new books in preparation for their meetings next week. 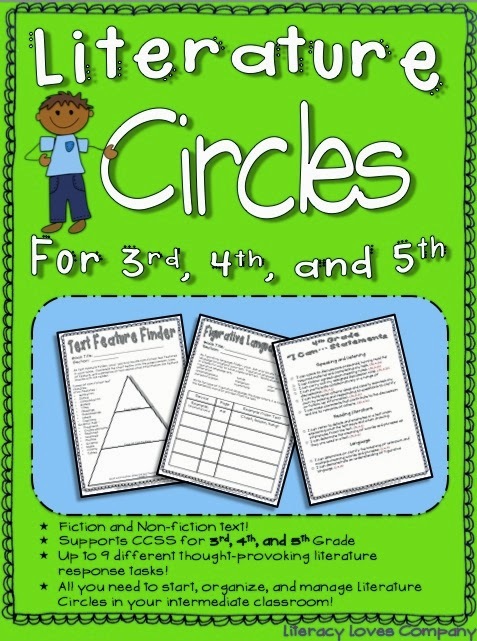 Literature Circles - Click to go to my TpT store for more information! 3. 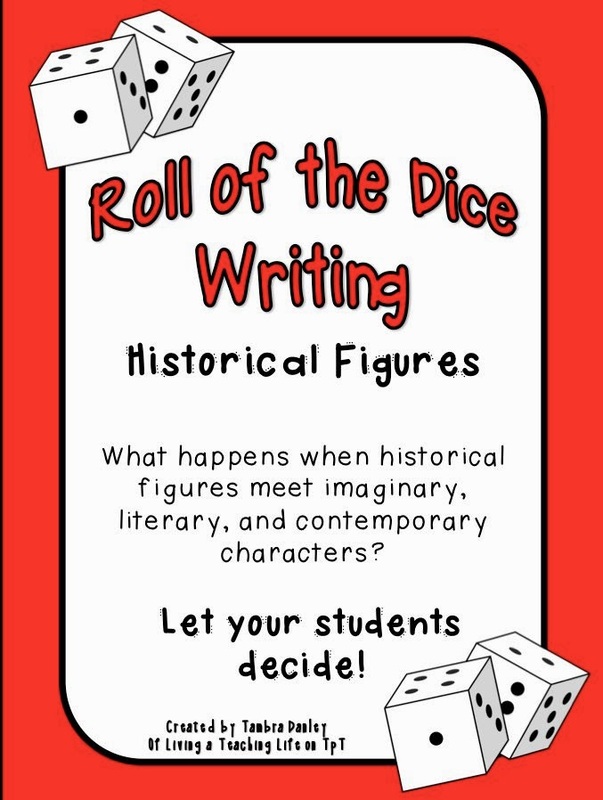 For writing students were finishing up their creative writing stories about Lewis and Clark and the Corps of Discovery from my Roll of the Dice Historical Figures product. Students are working on a variety of final products such as comic strips, poems, newspaper articles, and picture books. Each of the pieces has a "literary theme" associated with it, so I am excited to have the authors share their work this week. 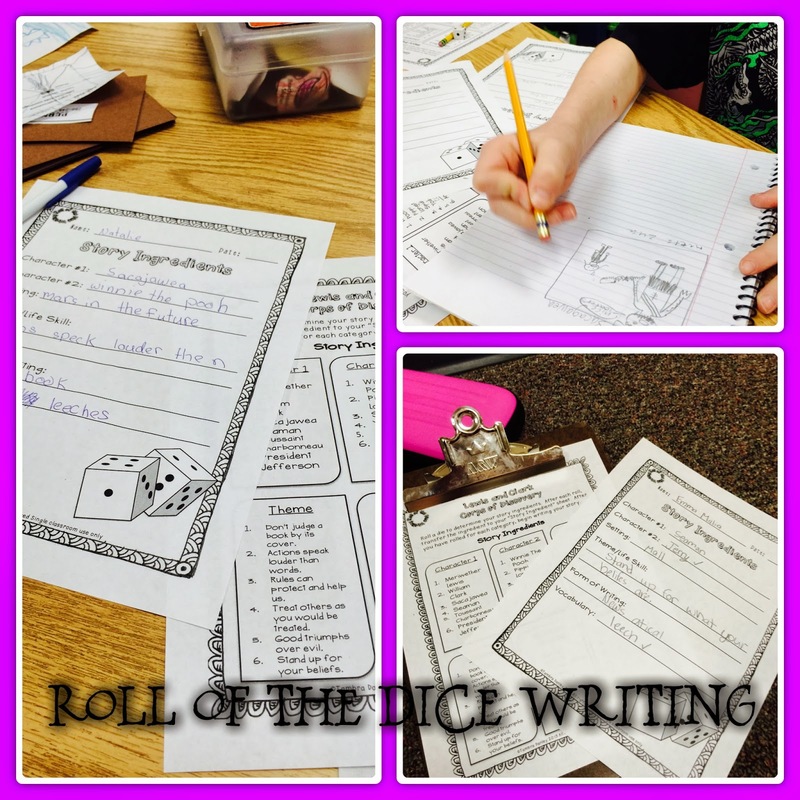 Roll of the Dice Creative Writing - Click to go to my TpT store for more information! 4. 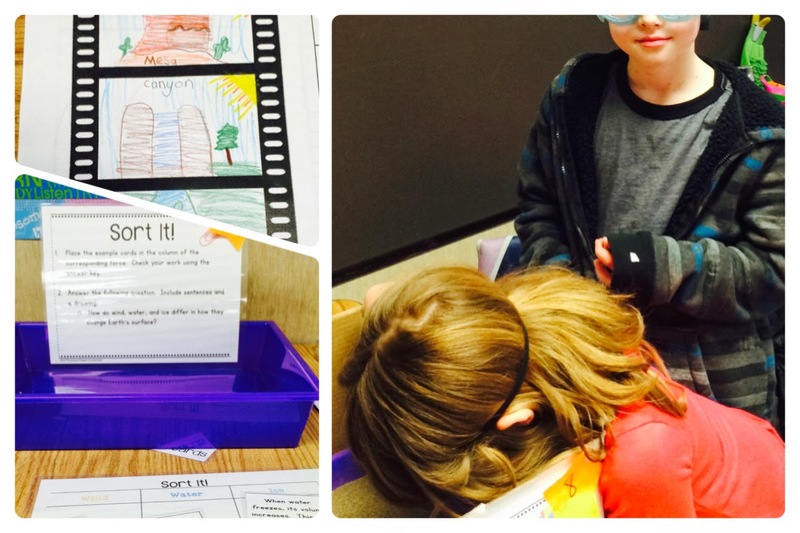 I've started stations in my class first thing in the mornings. When my students come in to class they spend the first 10 minutes checking in home-work, sharpening their pencils, and other AM business. Then they settle in to their literacy station. I have 11 literacy stations with 3 students in each station. I have a variety of activities for students to work on. 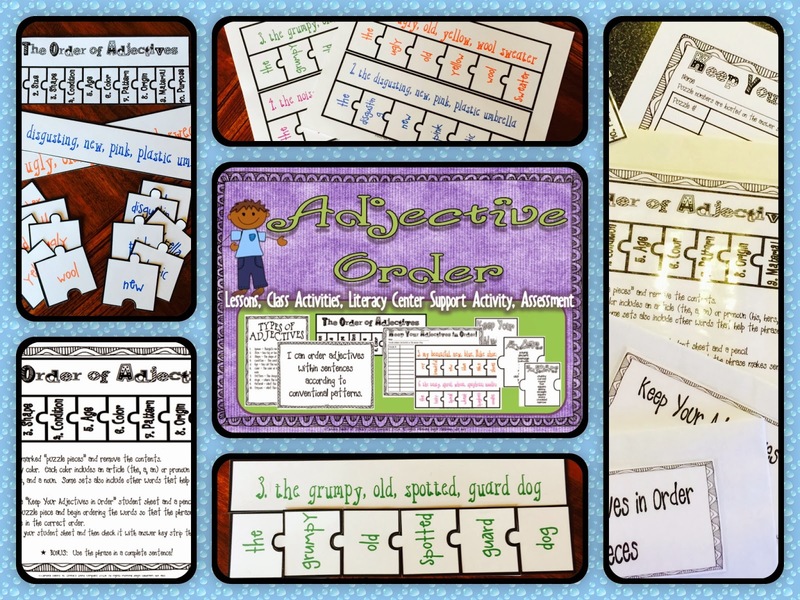 Two of the activities I have going are products in my TpT store. 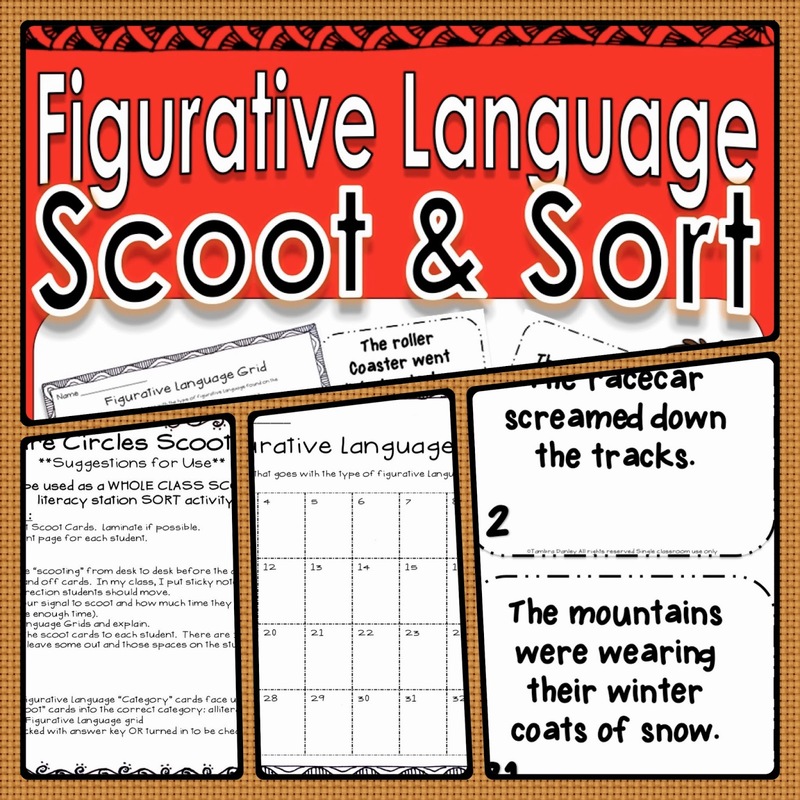 The first is my Figurative Language Scoot and Sort and the other is from my Adjective Order Mini-unit. 5. 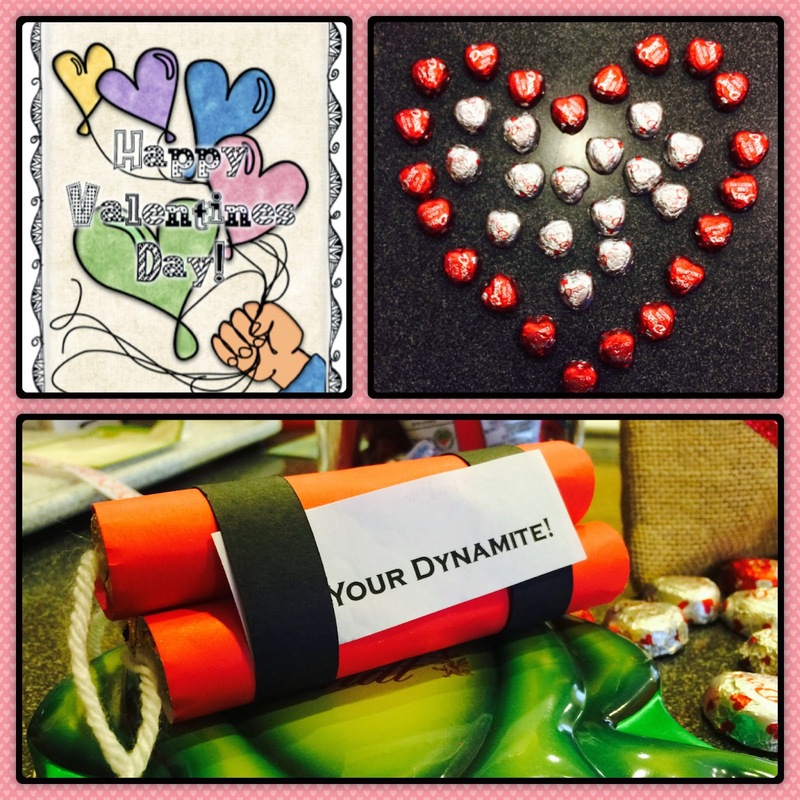 To add to the chaos, Friday was Valentine's Day!!!! Luckily I had my Valentine's Day Card FREEBIE on hand to give to the kids along with a Hershey's Hug. :) The kids were more excited for the included homework pass than the candy! All in all, it was a fast paced, whirlwind of a week! I'm so glad that I have a three day weekend (Thank you Mr. Presidents!) to catch up, BREATH, and plan for the following week! Luckily, I had TpT to help keep me afloat! Do you have any great products or ideas that you pull out when you are feeling overwhelmed? If so, I'd love to hear about it in the comments below! If you are the first to comment, click "no comments" to open a comment box! Of course! Thank your for your great products!